Industrial pumps are widely used throughout the pharmaceutical industry to process, unload, mix and transfer liquids. Since a many different types of liquids need to be handled within the pharmaceutical industry, high-quality, efficient and versatile pumps are required. BPH Pumps carries a wide range of pharmaceutical pumps to meet these application requirements. Our inventory of pharmaceutical pumps includes centrifugal, flexible impeller, diaphragm, rotary lobe and submersible pumps. Other pumps used in pharmaceutical applications include drum and container pumps, used to unload liquids efficiently, leaving little trace of liquid in the container. Stainless steel pumps are also frequently used for pharmaceutical applications due to their corrosion resistant and high-performing capabilities. 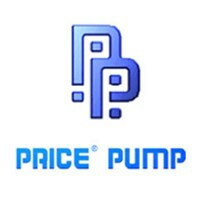 Browse our pharmaceutical pumps below.